Given the popularity of my previous article, “Diseases That Plague Photographers“, and the many humorous responses I have received, it seems that most of you have also come to terms with your afflictions, and admitted to having little, if any, desire to be cured! That would suggest that over your lifetime, you will likely buy and sell a fair amount of photography equipment. As such, I thought it might be helpful to know how to maximize your ability to get top dollar for your used gear. There are many other avenues for selling your equipment, but I happen to believe that eBay is one of the best structured market places to conduct business, offers quite a bit of protection to both buyers and sellers, and exposes you to an extremely broad market. This article will cover the selling side of eBay, while the next will focus on the buying process. Your primary objective is to ensure that, throughout the sales cycle, every aspect of your communication and dealings with others projects and reinforces the notion that you are a credible person to buy from. People are always concerned when spending their money, particularly when the transaction is associated with equipment they cannot hold in their hands until after they have paid for it, from someone that they will likely never meet. As such, potential buyers have a significant number of concerns at the outset of an auction. You need to understand and reassure them at every step of the way. Bear in mind, unless you have a very unique item such as some exotic Nikon fisheye lens no longer made, you will be competing with others selling their 50mm 1.8Ds or other gear. Your job is to make your item stand out, provide potential buyers with information that will help them make a decision, and set yourself apart by how you professionally handle the communications process and business transaction. And it is pretty easy to do if you follow a few simple guidelines. You should start out with realistic expectations for your equipment given its age, condition, and the cost of similar items. The first task is to thoroughly inspect your gear, make note of any particular conditions that should be communicated to potential buyers, and accurately classify the condition of your equipment according to the descriptions eBay provides. Never, ever let a buyer be the one to inform you that you failed to mention some aspect of your equipment’s condition, or that your notion of “like new” was more akin to “should have been donated to Goodwill!” Such situations can only end badly. 3) Take Great Pictures Of Your Gear! One would think that this goes without saying, but a quick perusal of some of eBay’s higher end lenses and cameras will quickly prove how little thought some give to their gear’s photos. Photographers, of all people, should be able to take quality pictures of their gear, right? Too often, this turns out not to be the case. It is not unusual to see cameras or lenses selling for $800-$2,000 with photos that seriously detract from their stated value. I can understand seeing so-so photos from a mom or dad selling little Johnny’s aluminum baseball bat, but when someone is selling a Nikon D3, and its photos look like Polaroid snapshots from the 1970s, a red flag goes up in the minds of potential buyers. What’s the big deal with taking poor quality photos of photo equipment? First, it shows a lack of consideration toward the buyer. Second, it conveys a bit of sloppiness on the part of the seller. Third, it introduces doubt in the minds of potential buyers. Fourth, there is simply no excuse for it. As a photographer, you should know and be capable of something better than others on eBay that don’t have your equipment or know-how. Bad photos aren’t a great start to a transaction that may culminate in the exchange of hundreds of dollars (in some cases, thousands). Buyers want to know exactly what they are getting. And a few blurry, poorly lit photos of your Nikon D700 aren’t going to do much to inspire confidence in the buyer’s mind. I always bypass poorly photographed camera gear. If someone doesn’t understand the importance of displaying their equipment in its best possible light, I am always suspect regarding how honest they are and how well they will execute during the rest of the auction process. The only exception I make is when the equipment is part of an estate sale, or other situation where a non-photographer has inherited a myriad of photography gear. It is pretty easy to take high quality photos of your gear. A nice white cardstock background, a bit of dusting with a lint-free cloth, a fine brush, and an air blower, some diffused flash, and a bit of very basic processing in Photoshop, and you can have photos worthy of a Nikon advertising brochure. There are probably hundreds of tutorials on the net for how to take high quality photos of your gear. Find one or two, master the associated techniques, and never put a poorly photographed item on eBay again! Take photos from a variety of angles and ensure that any notable marks, dings, scratches, etc., are highlighted so people can clearly understand the extent of the issue. eBay charges for taking extra photos beyond the standard number. Pay the extra amount and provide others with the opportunity to get a good look at your equipment. Any borders or image accents that help your gear stand out from the crowd? Pay for those as well, as the extra attention is well worth it. Great pictures may not guarantee you a hefty premium on eBay, but mediocre or poor quality photos will likely cause people to think twice about bidding and/or cause them to question the value of your equipment. Bear in mind that unless you have some extremely unique item (highly unlikely), you are competing with a variety of other sellers. Treat the photography of your gear as you would any paid assignment or highly respected photo contest, and you will be off to a good start. 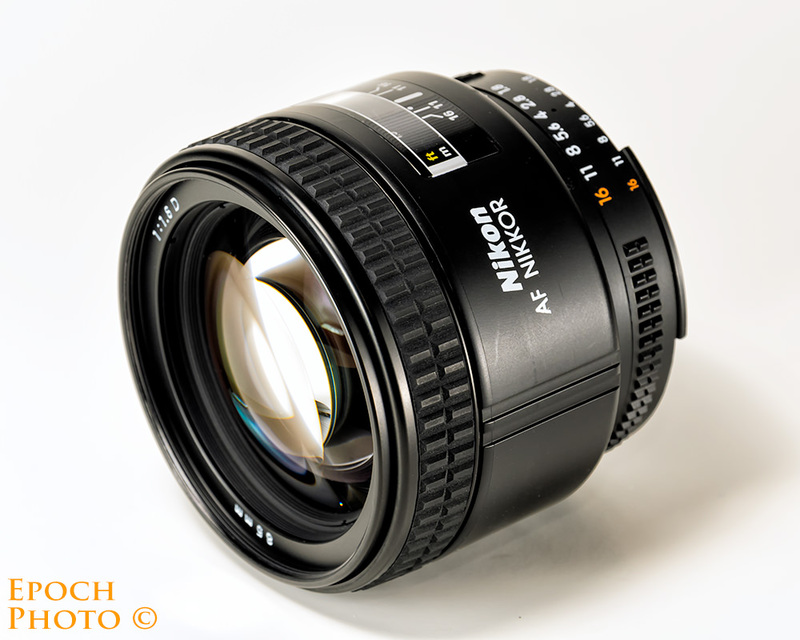 Everyone can see that you are selling your 50mm AIS lens, but why? People want to know the story behind any piece of gear, particularly for higher priced items. Your reasons for selling the equipment could be one of many: upgrading to new model, accumulated a number of lenses with overlapping ranges, discovered that you don’t shoot as much macro as you originally thought you might, need a faster lens for low light shooting, your photography interests changed and the lens rarely comes out of the bag, you recently purchased a 500mm 2.8 lens that requires a heavy duty tripod/ball head combination, etc. Whatever the reason, share it with potential buyers. It doesn’t have to be a narrative, but a paragraph or two can make a big difference with respect to helping people understand the story behind the equipment. If you are selling a lens, camera, tripod, or flash, share some of your best pictures taken with it via links to your website(s), such as flickr, smugmug, zenfolio, 500px, etc. People love to see what you have done with a given piece of gear, even if they could likely find many other photos taken with similar equipment. Showcasing your photos, your experiences using the equipment, and how it helped you in your photography journey makes both you and the item much more personal to potential buyers. It also earns you some instant credibility as someone that knows what they are doing, has some talent, and is likely someone they can trust. Again, you need to give people reasons to do business with you. 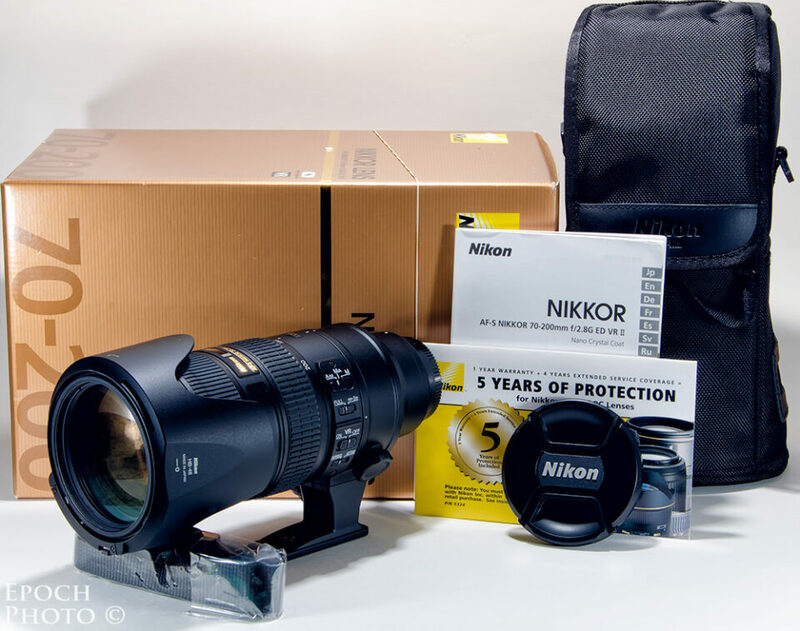 Both a brief story regarding the equipment and the photos taken with it, assures potential buyers that they are getting a great piece of gear from a credible source that will enable them to take great photos as well. Don’t wait for obvious questions to be asked. Anticipate and answer them in your description of the item. When did you purchase the item? Did you buy it new or used? Is it still under warranty? Has it had any repairs or maintenance? What is included with the gear? Do you have the original box and paperwork? Does the item show any obvious signs of wear? Does the lens have any fungus? Leave out no details. Provide a link to the product’s description on the vendor’s site. If someone is going to bid on your Nikon D300, they already know its flash sync speed, types of memory cards it takes, etc. Don’t waste space simply repeating what someone can easily read by navigating to the manufacturer’s site. If you will only wish to do business in certain countries, say so clearly. Whatever you do, don’t fail to leave out the fact that you won’t ship to Antarctica and then find out that “Penguin_Lover_22” has won the auction. State the number of days required for payment, before voiding the sale. Draw attention to any other rules for doing business, such as only accepting PayPal. Indicate that insurance costs extra. Know the size of the box and total weight, so that potential buyers can accurately estimate their shipping costs. List the maximum number of days someone has to pay you before you cancel the transaction and relist the item. Never take anything for granted, and remember how the common adage associated with the word, “assume”… I always start my items out at $1. This concept makes some people cringe, but I have never sold something below what I believed was a fair price. Some may have different opinions on this one. I believe that if you are selling a medium-to-high end camera, you should anticipate that anyone worth their salt will ask for the shutter actuation count. Obtain a copy of Opanda EXIF viewing software (free), determine your camera’s count after taking a picture in JPEG format, and list the number of shutter actuations in the item’s description. This is not simply considerate, but it spares both you and potential buyers quite a bit of time by avoiding extensive emails regarding the issue. Once you have listed your item on eBay, count on checking your email a few times a day. Promptly responding to people demonstrates that you are considerate of others’ concerns and time. Under no circumstances should you take more than one day to get back to potential buyers, particularly when it is the final day of the sale. It helps if you put your item up for sale at a time when you are available and can respond in a timely manner the last day of the auction. This might mean posting your eBay item at 10:30 PM so that during the final hours, you can be at your computer to answer any last minute questions. And it is never wise to post your items on eBay the day or two before you go on a vacation to a remote Caribbean island with spotty internet connectivity. Always be considerate in your response, even when the potential buyer asks questions that they should have known by reading your posting. It is simply a price of doing business. Post the questions and answers for others to view. This will save you some time since others will likely have some of the same concerns. Wish them well with the auction, and urge them to ask any other questions they may have. Don’t wait until someone buys your gear to find out that you don’t have a suitable box, sufficient bubble wrap, packing tape, etc. Get these supplies before the last day and make sure your gear will fit in the box with enough protection. As soon as you receive payment, ship your item the next day. If you cannot ship the item immediately, make sure you give the buyer a specific ship date. Send the FedEx or UPS tracking number to the buyers as soon as you can so they can keep tabs on the shipping process. Take the time to write a thank you note. The buyer most likely had other opportunities to bid on items similar to yours. Appreciate the fact that he/she purchased your item and chose to do business with you. Let them know that you would like to see photos taken with your gear, in the case of cameras or lenses. As photographers, we have a tendency to get attached to our gear (even if we turn it over on occasion!). There is something satisfying in finding that your gear has found a new home and is being well-taken care of. I have felt an odd sense of pride when people send me links to beautiful photos taken with cameras or lenses that I previously owned. Remind the person that you welcome their posting positive feedback regarding this transaction and that you will provide the same. Accurate and timely feedback is the grease that keeps the eBay machinery working for all of us. Treasure positive feedback and do all you can throughout the auction process to earn it. Provide it liberally to others who treat you equally well and prove to be good buying partners. If someone forgets to provide feedback regarding the sale, send a gentle email reminder and ask how they are enjoying their new gear. Life happens, and sometimes people forget. Nearly everyone will quickly respond once they realize that they let it slip. One of the best means to avoid issues is to follow the guidelines above. Of course, issues may still arise. Always attempt to be reasonable and resolve issues amicably. Over the last five years, I have sold a considerable number of lenses, cameras, flash units, and other gear. During one stretch, I sold off my entire Pentax kit, which was pretty extensive. I only ran into two issues during my years of selling gear on eBay. The first involved dealing with a young man that wanted to link his payment for the lens to his cousin’s brother’s father-in-law sending him part of a rebate check…or something like that. In this case, I had to let him know politely, but firmly, that it was not acceptable for him to subordinate our transaction for the lens to any other transaction. I gave him a time and date by which, if I did not receive payment, I would notify eBay that the sale was cancelled due to lack of payment, and that this would not reflect well on him. By some stroke of luck, he was able to make the payment by the deadline and I shipped the lens. The other issue involved someone that wanted to return an older 50mm lens he had purchased from me. He indicated that there was some dust in the lens. Considering that this lens was made in the early-to-mid 70s, I found it hard to believe someone might have thought that it did not have at least a few specs of dust in it. I interpreted this as the person in question simply changing his mind regarding the purchase. I allowed him to return it. I looked at it along with some of my newer lenses, and found that it had no more or less dust than the others. I could have made an issue of it with eBay considering that my description accurately indicated that given the age and condition of the lens, and that it had some normal wear and tear. As such, a few specs of dust inside the lens were pretty reasonable to expect. In this case however, I decided it simply wasn’t worth my time to argue about it. eBay provides you with a tremendous opportunity to expose your used photography equipment to a huge potential market of buyers. The auction concept can work in your favor, as many get engrossed in the “bidding wars”, and in the process, provide you with the maximum value for your equipment. If you invest a bit of time and energy to present your equipment and yourself in a professional manner, are specific regarding your business terms, and treat people as you would want to be treated, you can quickly get the attention of buyers and stand out from the crowd. Soliciting and accumulating stellar eBay ratings can also provide buyers with the confidence that you are a solid business partner and that they are justified in trusting you with their hard-earned money. Do you have some experiences regarding eBay that you want to share? People always appreciate the opportunity to learn from others. Let us know what you think below. Penguin_Lover_22 – Excellent, like it! I think he’s bid on some of my items! Thanks for reading and replying. It really isn’t too difficult to set yourself apart from the crowd on ebay, particularly after building up a credible feedback score. One thing that I have found helps when selling lenses, is to provide a link to your images taken with the lens, so that you can inspire the potential buyer and give them an idea of what can be achieved. I have made a profit on a couple of old lenses this way. Absolutely. Demonstrating just what a lens or camera can do provides people with the confidence that they can get their money’s worth out of a given item. You have some stunning photos on your website! Thanks for sharing and stopping by Mansurovs. Backing up for a minute from selling, have you ever done any studies on the velocity of depreciation of digital cameras? This “depreciation overhang” generates lots of selling frenzie, thefefore eBay, etc. . One day you have a perfectly good D300, the next day you have a camera that’s worth 30-40% of its original dollar value, if that. It is very frustrating because you feel manipulated by the camera companies. It seems if you hold on to a camera beyond a certain point, you might as well keep it or donate it to a family member. Any words of wisdom on this digital camera-value issue? How about a digital camera hedge fund! It all depends. Popular name brand lenses hold their value extremely well. I purchased most of my lenses new and received healthy rebates from Nikon. Considering this, if I sold some of them, I would likely break even in the worst case, and in others, likely come out a bit ahead. I haven’t done any study of DLSR used prices over time. I suspect, like lenses, you are better off sticking with popular brands from the major manufacturers. Moore’s Law is driving the price/performance behavior you see in the digital camera market, just as it has done in the computer field. Thus you will have some depreciation of the older gear because of the onslaught of new capabilities associated with each successive generation of camera bodies. The difference between DSLRs and cameras however, is that the DSLRs are now of sufficient resolution and quality such that they can be used for quite some time. Because of the ever expanding “bloatware” associated with PCs however, older PCs may not be able to run newer operating systems and/or applications due to the fact that their processors simply aren’t supported or have enough horsepower that the software requires. Your reply made me think more about this issue (especially Moore’s Law-see below) and how I should deal with my buying and selling of digital cameras. I always saw a business cycle relationship between computers , digital cameras, and other electronic stuff (I’m 71). Their development seemed frenzied but, now, a better word is exponential. Conclusion: This electronic growth/frenzie/exponential is NOT going to slow down. There seem to be 3 responses to this reality, metaphorically speaking: you either (1) go with the flow, (2) row upstream, or (3) throw out an anchor and stay put! Moore’s Law raises some interesting questions that I have to ask myself about when I should upgrade or sell my “old” digital cameras (D300 and D700). I need to balance “Moore” against realistic personal needs to do my photography work. The capabilities of many digital electronic devices are strongly linked to Moore’s law: processing speed, memory capacity, sensors and even the number and size of pixels in digital cameras. All of these are improving at (roughly) exponential rates as well (see Other formulations and similar laws). This exponential improvement has dramatically enhanced the impact of digital electronics in nearly every segment of the world economy. Moore’s law describes a driving force of technological and social change in the late 20th and early 21st centuries. The main difference between DSLRs and computers is that DSLRs are not “obsoleted” by future versions of software. Your D700 can continue to work just fine forever, assuming it doesn’t fail mechanically or electronically. It doesn’t rely on any outside software or need to be compatible with future software versions of the camera’s operating system. Computers however, need to remain somewhat current because software continues to be upgraded, and such upgrades often require customers to eventually purchase new hardware at some point, since the older computers may not be capable of running the newer O/S or programs, which keep growing in size with the addition of new functionality. I suppose you could continue to use a 10 year old PC, but you would cut yourself off from quite a few upgraded features and enhancements, as well as the ability to share files with others running newer versions of Excel, Word, Powerpoint, etc. Cameras don’t need to exchange data with other cameras. They can run one O/S that can remain static and perfectly usable for a lifetime. So in this respect, the DSLR and computer differ quite a bit. Of course, many photographers want to stay on the “bleeding edge” of capabilities and features, and will always by lusting after the “latest and greatest”, thus making a strong case why they need to trade in their old DSLRs for new toys. Thanks for taking the time to reply in a comprehensive and thoughful way, especially with your distinction betweem digital cameras and computers. That filled an important gap in my reasoning. TUB is a bad virus. It’s even worse when you have the money to perpetuate the virus. Glad you enjoyed them, BC. fairpict.com is the place. Only 4% for the commissions!! Very good info, but didn’t have what I was looking for: sell film camera body and lenses as a kit, or separately? Thanks.